The last few weeks have been chaotic and I’ve had a challenge focusing on the garden project. The goal is to build six wood container boxes. But my weekly lumber allowance disappeared rather quickly; cost more over $17 to build two 4’x4′ boxes. The other challenge is the composting I did in the fall of ’09 only filled one box. So know I have to spend a few extra dollars purchasing topsoil. Since I don’t own a motorized tiller, I resorted to a very old method of preparing the soil for planting. The New Self-sufficient Gardener by John Seymour offers an old English tradition for raised beds preparation. Basically, get a spade and dig down 6 to 10 inches and flip, or turn, the soil. After turning the soil in each box, I used a garden weasel tool to break up the soil even more. 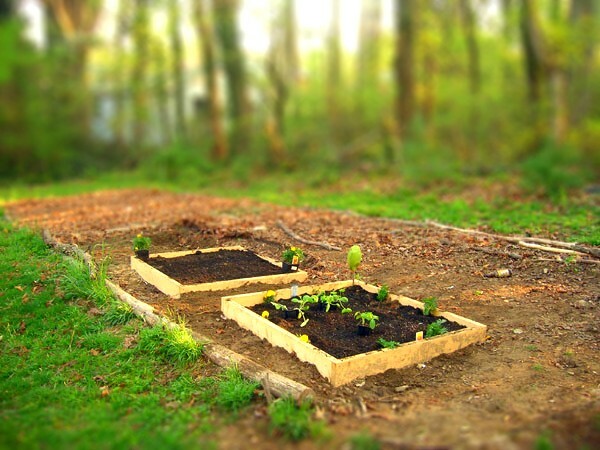 Finally, I added about two to three inches of topsoil before I began planting marigolds around the perimeter of the box. One source I read stated that marigolds provide an organic pest repellent. This is the first year I’ve used marigolds in the garden.